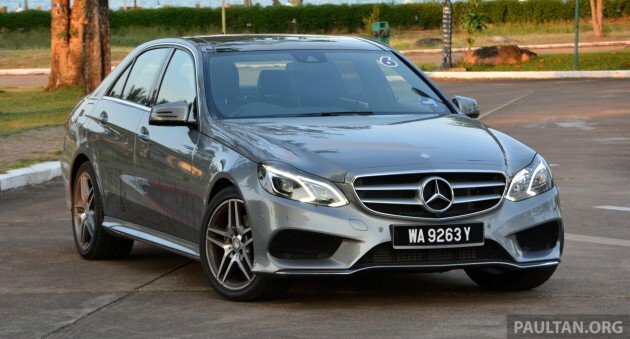 Mercedes-Benz Malaysia (MBM) has issued a statement regarding the pricing of battery replacements for its E 300 BlueTEC and S 400 h hybrid models. This is in response to a recent photo of an invoice for a battery replacement involving an E 300 BlueTEC Hybrid that went viral on social media, in which it was shown that the cost of the battery was over RM120,000. 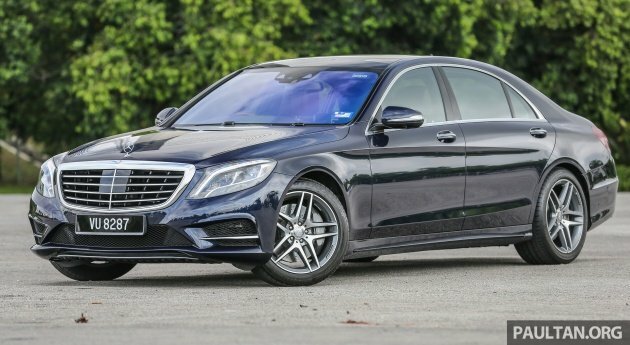 The company has announced that the new recommended retail price is RM50,000 for a E 300 BlueTEC Hybrid replacement battery and RM65,000 for a S 400 h Hybrid replacement battery. With the public announcement of a Hybrid Battery Extended Warranty programme that extends coverage for the hybrid battery for an extra four years, existing owners are unlikely to pay for a battery replacement, although the warranty itself is not free, costing RM2,688 to ensure the unit gets the extra coverage. 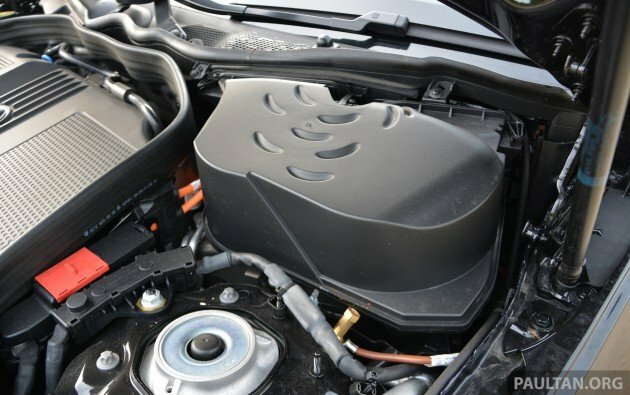 In September 2018, the company came out with the extended warranty programme for owners of the E 300 BlueTec Hybrid (and later, to include the S 400 h), essentially adding on to that covered by the car’s standard four year (or 2+2 year) warranty, bringing it up to eight years or 180,000 km, whichever comes first. When first announced last year, the Hybrid Battery Extended Warranty provided 100% coverage for the fifth and sxith year of the vehicle registration, 75% coverage for the seventh year, and 50% coverage for the eighth year for the repair or replacement of the hybrid battery. The Hybrid Battery Extended Warranty programme has now been updated to provide 100% coverage for the repair or replacement of the hybrid battery for the entire eight-year/180,000 km duration. Additionally, the extended warranty only applies to the repair or replacement of the hybrid battery should it fail due to a defect such as defective material(s) or workmanship. Regular wear and reduction of battery capacity is not covered under the warranty. The terms and conditions also stipulates that “in the event of a repair or replacement, Mercedes-Benz Malaysia may, at its own discretion, either replace or repair the defective part,” and is not responsible to compensate the owner for the loss of use of the vehicle, transportation costs when the vehicle is being repaired. As previously noted, the company’s plug-in hybrid models like the C 350 e and E 350 e are not covered under this programme, as they have a separate six-year/100,000 km warranty for the battery. Can MBM pls tell the public why they were charging RM125k for the battery when in actual fact, the battery cost RM50k or less? Even at RM50k, MBM surely is making money from it. So, we can assume it is RM30k. In UK, the battery cost 6900 pounds. Is MBM practicing the same method of hiking prices with other parts of Mercedes also? So many idiots don’t realise the real cost of ownership of used electric and hybrid cars. They get trapped when the electrical problems happen and the solution given is to change the expensive battery and its components. Please inform your hipster family members of the danger and stupidity of buying of these types of used cars. After this scandal, BMW has seen ZERO sales in the 330e, 530e, 740Le, X540e. sales of hybrid car will plunged drastically. user never think to fork out this amount for a 8 years old car. honda may survive but not luxury hybrid. deswai clever proton din play hybrid or ev game. gud for them. Say, after 8 years (no more battery warranty) the cars is worth only 30k and the battery konk. How? Better junk the car in this case. LOL. Malaysia so high income nation. Car and petrol so cheap here, so no problem. Actually maintaining a used normal engine BMW or Mercedes is quite cheap if you know where to get the OEM parts and a good trustworthy mechanic. The service and parts can be even cheaper than Proton since these German cars have longer in-between service times. But with electric or hybrid, these cars go to the Ferrari or Porsche level of maintenance cost. Why pay for Mercedes mistake or under coverage? Their technology is not working and consumers have to pay for them. Better buy others updated technology. Some say better just buy normal petrol engine from a company that doesn’t have EV or hybrid to mess with. This I agree. The whole electric/hybdrid technology is a scam to force automaker to dump cheap and reliable petrol/diesel technology and move on to expensive and limited battery oriented tech. So based on your comment or logic, you are trying to tell all of us that fossil fuels are unlimited? That fossil fuels will not be depleted? I guessed you got to be the smartest person on earth. Get a brand new full spec X70. RM120K Get a brand new full spec Civic TCP. What no fuss? Doesn’t your company have to make the profit to pay for the car and maintenance? You have to pay one way or another. Thanks for the follow up action but still not explain or justify why your battery is expensive, guess now you can keep all the plugin hybrid in the warehouse as nobody dare to get a unit as potentially cost a bomb. It will only further affect the resale value of these vehicles as the battery itself will cost about 1/3 to 1/2 of the vehicle once the warranty expires. The big question here is simple. Why before it went viral, you charge RM125k? Why suddenly drop the price so much? Nobody drops prices from RM125k to RM50k overnight. I hope our consumer laws will look into this matter. We Malaysians are being cheated left right and center. No more MBM for me. Copy paste: “That’s the problem with nearly-wannabe-rich show offs. Mercedes is the hallmark of luxury car and many show offs struggle to pay for their rides, many of them living in houses that cost slightly above their Mercedeses. These people are fools to expect that a luxury car will have Kancil servicing cost. A luxury car entails a luxury price in servicing and that includes battery replacement. This is something nearly-wannabe-rich show off buyers cannot understand which is why they vent their frustration, and what made worse was the artificially cheapened hybrid car prices by the past gahmen which made it affordable to buy but not affordable to own by these oblivious nearly-wannabe-rich show off buyers. A hybrid car is no way cheaper in running cost compared to equivalent petrol version and for the really well off buyers who genuinely can afford the running cost of their hybrid cars, this is never a problem. RM 130k for replacement? Just one month of income for the genuinely rich customers. Why should they spend their time to complain? Their time is money and more precious than to complain about the price of battery replacement. this “Copy Paste” idea is an IDIOT idea. who said the rich does not care about the cost. YES they might be able to afford it, but they are the one who are fussier about the cost.! OR probably u are from MBM. The rich looks at how much income loss if they were to care about small cost. Yes, we operate on a different level to poor plebs. What is cost to us? after getting caught, john, you are still copy and pasting. Why are you so angry about others telling the truth? On the poor show-offs will get angry with the truth. So, they’re telling us that they have very big fat profit margin for the hybrid battery replacement cost all along. Like more than 100% profit. With so many terms & conditions and exclusions why even bother? There are so many other cars to buy with that kind of budget. Options, options, man! I think Non-hybrid cheaper in long run. I do not sure how Merdeces team look at them extended warranty packages. Do they really believe that the consumer feel confortable with the 8 years and cap the milage at 180k km? 2014 E300 (the case which wake Mercedes owner up) is a diesel engine car. We all know that most (if not all) of diesel engine user are driving double as petrol engine user. In layman term.. 180k Km might only take them 5 years to reach there! End up… new packages make no different for E300 owner! The Camry Hybrid Battery costs RM10k plus installation. It’s highway robbery for MB to charge RM120k??? I’m so glad it’s just RM50k instead of RM120k. Now I’m at peace. just don buy hybrid. settled. Every year save rm1500 on petrol, after 5 years pay rm50k for battery…hohoho. 8 year warranty is for battery spoilt, not for wear and tear, after 5 years, battery drop to 30% capacity. I drive the E300 BH and yes, I am shocked by the ridiculous 121k battery replacement cost. I believe the RV of this model will drop drastically, actually no, it has dropped drastically. But I am not worried loh. I hope I can pick up a 5 year old used hybrid for 30 or 50k, that will be a steal. Battery konked? Why replace it for 121k? Just use it like a normal diesel car lah………..lol. Not that the car cannot move without the hybrid battery functioning……..
By the way, I bought this car not to save fuel, but for the specs and the instant torque.